Here you'll find my latest or even greatest crochet patterns, site updates, and other interesting bits and bobs! 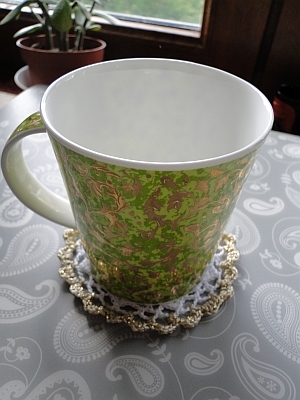 My Royal Coaster contains petals and crown shapes, and can be edged with gold! Full written instructions and photo tutorial. 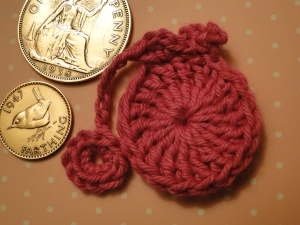 Continue reading "The Royal Coaster Crochet Pattern"
Continue reading "Free Crochet Coaster Patterns"
This is where to sign up for my newsletter here at Crochet Leaf dot com! 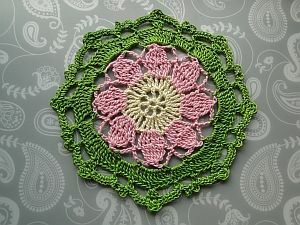 Continue reading "The Crochet Leaflet Newsletter"
This pretty vintage mat gave me an idea for a flower! Full tutorial with pix to help you along. 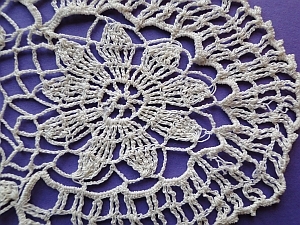 Continue reading "The Original Vintage Flower"
An 8 round octagon pattern, which features my vintage flower in the middle. 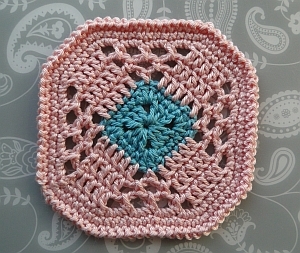 Continue reading "Vintage Crochet Flower Octagon"
A sweet and very easy crochet butterfly pattern that you can make in minutes! 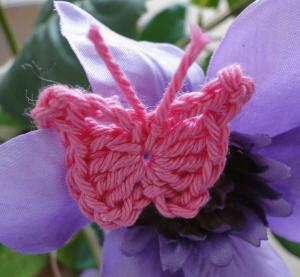 Continue reading "An Easy Crochet Butterfly Pattern"
Two ruffled crochet flowers joined together create this pretty, vintage style pattern! Continue reading "Riffle Ruffle Flower Crochet Pattern"
An easy crochet bracelet that works up in minutes! I also show you how to add beads for a stunning effect. Continue reading "Crochet a Beautiful Chainlace Bracelet"
Here's my tutorial on how to crochet a lovely braided bracelet with a button attachment. Continue reading "Crochet a Buttonbraid Bracelet"